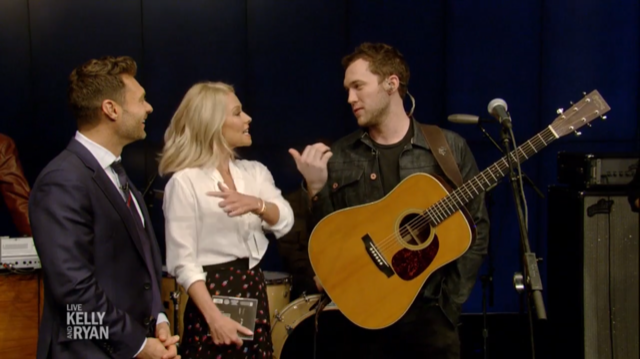 Phillip Phillips performed at Live with Kelly and Ryan this morning, the first stop in a busy day of promotion for Collateral and his Magnetic Tour. 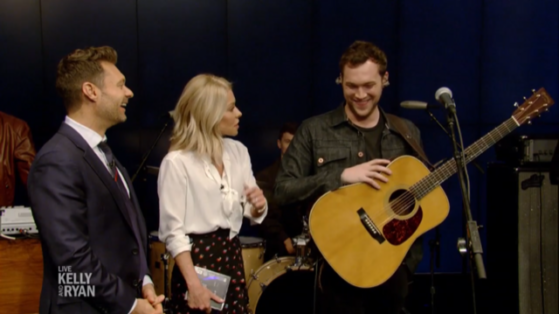 Phillip played “Dance With Me” accompanied by his full band and did a short interview afterwards. Phillip and Ryan Seacrest share more than a home state (they are both from Georgia), they of course share many memories from season 11 of American Idol which Phillip won. Take a look at the video and interview below. Later, while still in New York, Phillip visited the Build Series Studio for a great sit down interview and questions from a live audience. 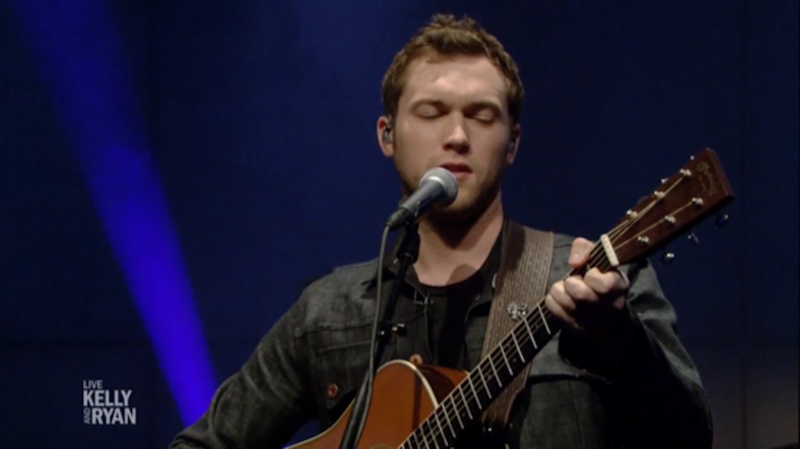 Phillip then continued on to Philadelphia for his fourth show on the tour. Check out that interview below! The tour continues tomorrow with a sold out show at the The Sinclair, in Cambridge, MA. So don’t delay, get your tickets to the Magnetic Tour on Phillip Phillips’ official site now! Videos via Live with Kelly and Ryan and Build Series.